The Perley and Rideau Veterans’ Health Centre is one of the largest and most progressive long-term care homes in Ontario. The Perley Rideau campus includes 450 long-term care beds, a 12-bed Guest House providing respite care and a Seniors Village with 139 independent-living apartments for seniors. A growing number of clinical, therapeutic and recreational services are available on-site. 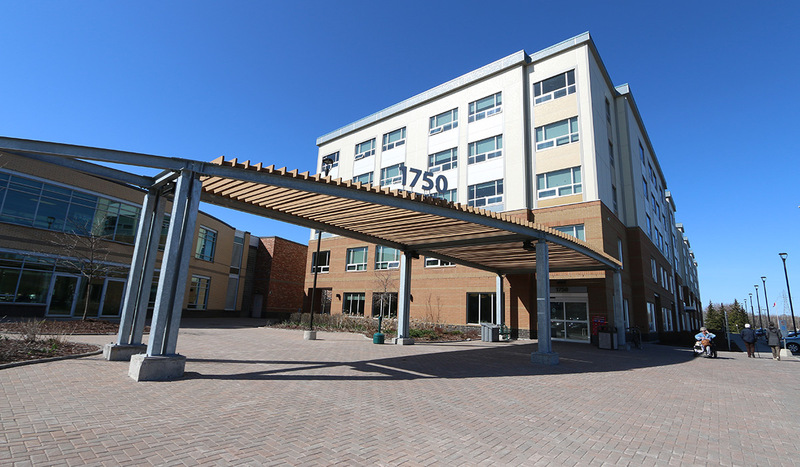 Veterans enjoy priority access to 250 of the Health Centre’s long-term care beds and former members of the Canadian Armed Forces are eligible for priority access to the Seniors Village apartments. Perley Rideau employs a staff of more than 800 people. Each long-term care resident benefits from a private room and specialized programs designed to maximize each resident’s quality of life. With therapeutic music and art classes in our studios and at the bedside, an on- site pharmacy, pub, chapel, cafeteria and several clinics, Perley Rideau fulfils personal daily needs and enriches the lives of seniors, along with visiting families and friends. More than 390 regular volunteers contribute in many ways: by welcoming families, assisting with Therapeutic Recreation and Creative Arts programming, portering and helping residents with meals and by providing palliative-care visitations. In 1994, Perley Rideau amalgamated three separate care facilities: The Perley Hospital, The Rideau Veterans Home and the National Defence Medical Centre. Since then, the Perley Rideau has evolved continually to better meet the changing needs of the people it serves. In 2017 Perley Rideau negotiated funding agreements to open Specialized Veterans Beds and open a Specialized Behavioural Support Unit – the latest in a long list of effective partnerships and innovations fulfilling aspirations to be an innovative and indispensable provider of care to seniors in the Champlain region. As the population of Veterans declines and the number of seniors increases, Perley Rideau will continue to evolve. It must take advantage of its many attributes – an expert staff, a beautiful facility adjacent to the region’s largest hospital and health-sciences complex – to enhance and expand the services it delivers both onsite and to the region. As our role in the broader healthcare system grows, long-term care will remain central to the Perley Rideau and we will continue to honour and serve Veterans. Perley Rideau has transformed itself into a Seniors Village with expanded programs and services for seniors and the general public at their level of need. This transformation increases our ability to serve a much greater number of seniors and is aligned with the provinces' Aging at Home strategy. Seeking innovative solutions to meet the evolving needs of seniors by supporting their physical and mental well-being, Perley Rideau’s motto is: Together, we improve the well-being of the people we serve. Perley Rideau is centrally located near hospitals with courtyards, gardens, walking paths, and many places for residents to spend time with friends and family. The involvement of friends and family is welcomed and actively encouraged. 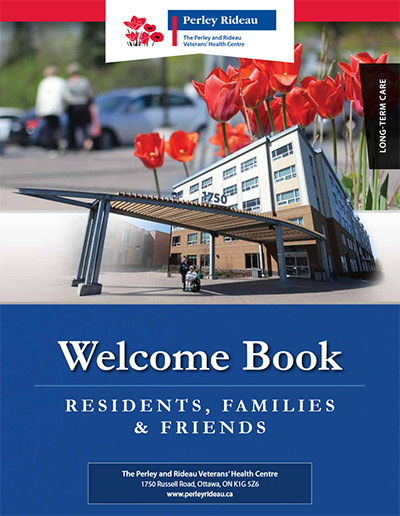 The largest long-term care home in the Champlain region.